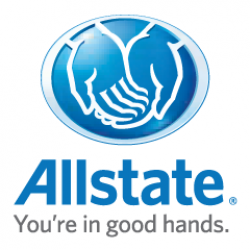 The Aery Family has a long history of serving Allstate families in the Northern California area. In fact, our story started right here in Chico. Building local relationships is one of the best parts of our work. We are committed to helping Northern California families understand their immediate and long-term needs and help choose options that are right for your unique goals. The Sonia Aery Allstate Agency is one of the largest agencies in the region, and we're consistently recognized for our outstanding performance. And we're not done yet. Our customer service team is absolutely the foundation of our success. We're seeking our next agency family member to join our service team and it can be you! We offer a competitive base salary + benefits including health insurance options + bonuses & incentives (this is *not* a sales roles) and we have the most amazing training and support in the industry. We are truly a family and, although we work very hard, we have a lot of fun. As a Service Agent, your job would be to review clients' policies, make sure there are no gaps in coverage, and make recommendations based on your conversations with clients. In other words, you will become a trusted advisor. Here's the ideal candidate: someone who has a great attitude & outgoing personality, never meets a stranger, has stellar computer skills and the ability to multitask, works well with their peers, and has a true passion for helping others. You MUST have the drive to win and be able to follow our proven system of success. We challenge ourselves to be the best. We take great care of our 3,000+ clients and need a great team to ensure that we deliver the Good Hands promise to our clients each and every day. Want to learn more about working with one of the top insurance agencies in the region? Email us your resume and let's talk!